Is restricting this pursuit an infringement upon the freedom of the individual? Should we make this something that anyone should be able to do, wherever they are in the world? There’s nothing wrong with requiring a license to practice as a doctor, with all the safeguards that such a profession entails, but what about someone who has written an iPhone app in their bedroom and scrapes a living from the proceeds? Should that be considered to be ‘outside the law’ unless the iPhone app author pays for a ‘smartphone programming license’ or ‘phone app vendor insurance’? When we complain that some places seem less suitable for people to start startups than others, we really need to ask why. 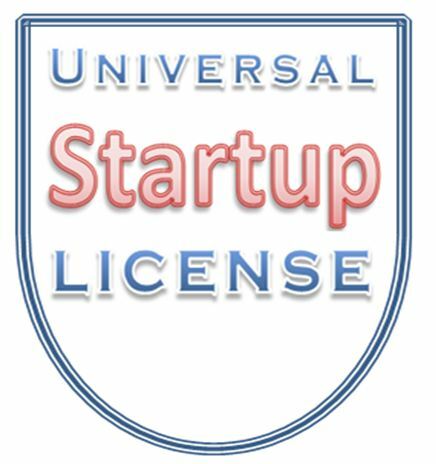 In Europe, as far as I know, only the UK matches the US ‘just do it’ policy for individuals wanting to start startups. Everywhere else (in the world) the policy is based on the ‘a costly license to trade is the default option’ rule (although the extent to which the rule is observed or enforced is an issue). Maintaining cost and regulatory barriers which inhibit ‘personal private enterprise’ do not eliminate it. They merely prevent it making a bigger contribution to society. Maybe as society starts to ‘feel the pinch’ and technology further erodes all other practical barriers to starting a startup, there will be a stronger call for those last unnecessary barriers to be taken down. If, as governments are all telling us, they genuinely believe that ‘innovation will save us’ and that startups are the engines driving both innovation and job growth, perhaps there will be enough of a ‘head of steam’ behind startup formation to sweep away the accumulated encrustation of bureaucratic obstacles that have been holding back would-be entrepreneurs all over the planet. If we recognise such a thing as a right to work, why can’t we also recognise a right to self-employment, rather than accepting an implicit mandate to become an employee as the only easily accessible means of exercising a right to work?